This is one Post i have been dyinggggggg (literally*) to do. I received this Love Parcel from Carrie Of "Darling Diva Polish"
When she is not saving lives (she is a nurse), she loves creating glitter polishes. i mean who in the craziest world could have thought of that. I hope you lovely nail crazies love these swatches as much as i do. I stayed up till 4 am clicking the pictures because i justtttt had to . The polishes came all nicely bubble wrapped. The bottle is huge 15ml. So,i bet its going to last for a long time. The package reached me in 4 days!! Her shipping charge is really reasonable. 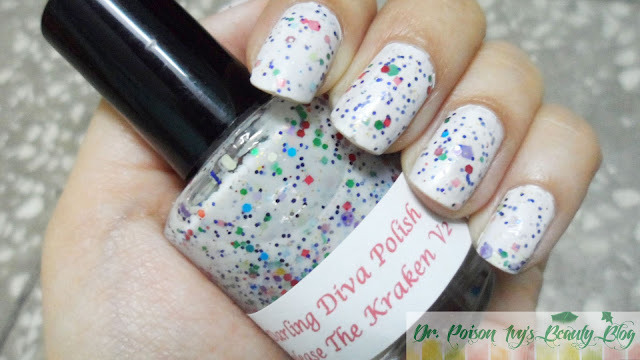 Release The Kraken V2 is a multicolored rainbow matte glitter on a white jelly base. DID YOU LIKE THE SWATCHES? which one do you want me to swatch next? they look sooo yummy na? Nice! 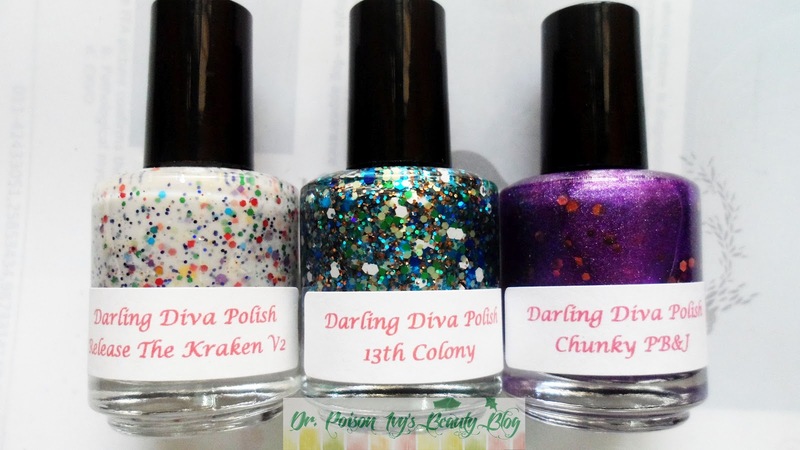 waiting for 13the colony that looks awesome in a bottle! Oh my gossshhhh so pretty. I want oneee. 13th Colony pleasee. 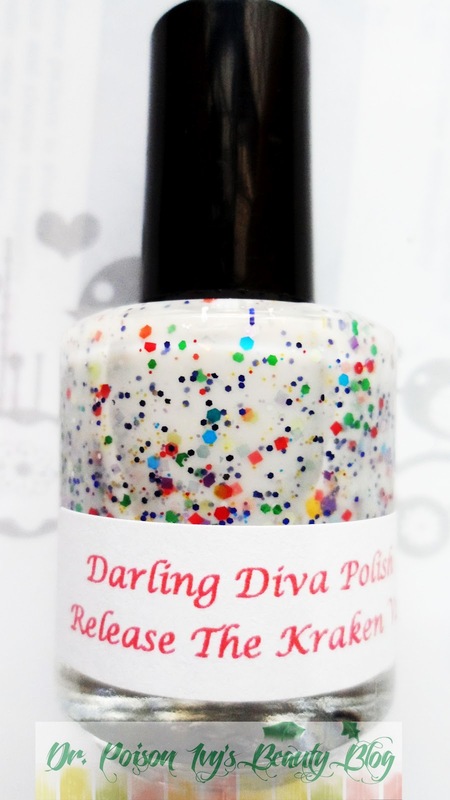 it reminds my of my Lush Lacquer-Sugar Daddy nail polish! love them both!!! it's a little bit thick as cosistency but with some nail thinner will be just fine! you should try them!! !